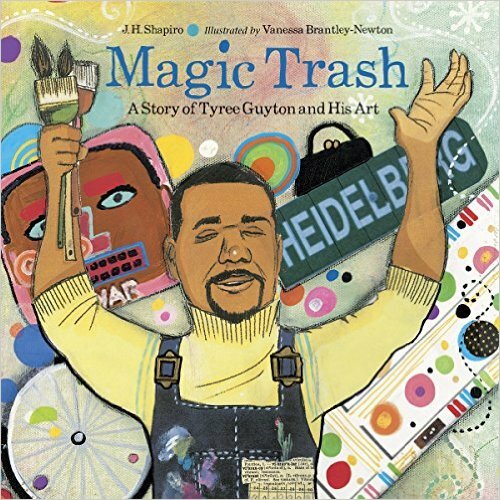 This picture book biography of Tyree Guyton, an urban environmental artist, shows how he transformed his decaying, crime-ridden neighborhood into the Heidelberg Project, an interactive sculpture park. The story spans from Tyree’s childhood in 1950s Detroit to his early efforts to heal his community through art in the 1980s. Invite students to use painting and sculpture to transform their own spaces and places. First, find a place that could use a little love. It could be part of the school, a classroom, or a place in the neighborhood. Brainstorm ideas for painting or sculpting the way Tyree did to change how the place is perceived. Now, get the paint and get to work! Use this award-winning collection of graphic novels, poetry, biographies, magical realism, historical accounts, and contemporary realistic fiction as starting points to engage students into deeper explorations of the racial disparities and structural barriers that still exist for African Americans today.